Do you know how Peer-to-Peer (P2P) sites work? Check out this article discussing Avant and Prosper to learn more! 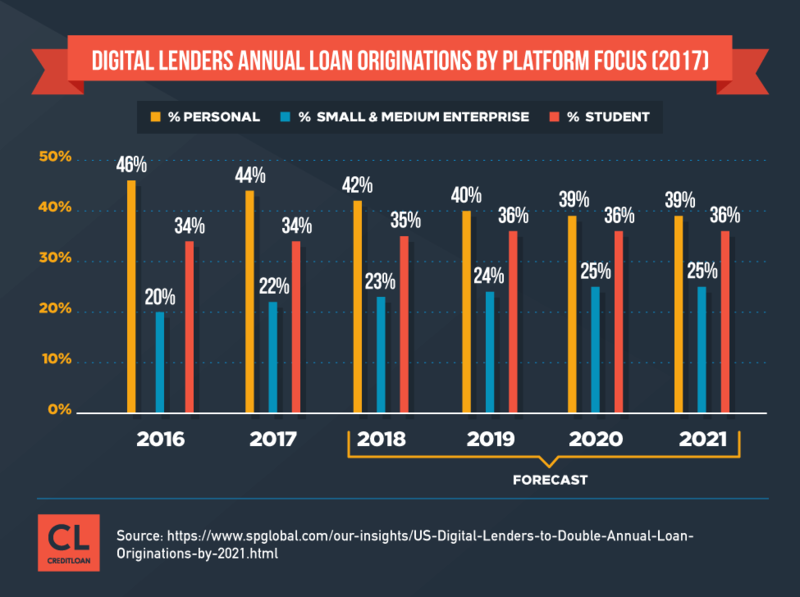 If you're staring down a mountain of debt you want to consolidate, or you simply don't want to go to a bank for a loan, you might consider an online lender like Prosper or Avant. Prosper, Avant and others like them, are known as peer-to-peer lenders or sometimes marketplace lenders. Think of it as sort of an eBay for personal loans. Essentially, they both provide an online platform that connects prospective borrowers with people who might want to invest in those loans. To date, Prosper has funded over $9 billion in personal loans and Avant has funded $3.5 billion, the companies say. While these online lenders do typically charge a higher annual percentage rate (APR) than a bank or credit union would, they can also approve and deliver a loan faster, sometimes even the next business day. Borrowers with a limited credit history or a less-than-stellar FICO score might also have an easier time getting a loan from a peer lender than from a bank or credit union. Prosper and Avant offer unsecured personal loans that you can use for a myriad of purposes. You might take out a loan with one of these online lenders to consolidate a bunch of credit card or medical debt, for instance. Or you might borrow with one of these lenders to finance the purchase of a car or boat. Prosper even suggests that you could use one of their loans to buy a wedding dress, assuming you don't already have the funds saved up for it. Investors might be institutional entities, like pension funds and nonprofits, which often fund whole loans at a time, or they might be individuals, who might only fund a fraction of any given loan. Peer-to-peer lending can be an attractive option for them because it offers a higher return and another way to diversify their investments. Before you borrow from Prosper or Avant, there are a few things you should consider. Consolidating student loans using an online lender might not be a good idea – at least not if you have federal student loans. That's because federal student loans offer certain borrower protections that online lenders don't, like income-based repayment or forbearance in the event of a job loss. And because consumer protection laws can vary from state to state, you'll want to make sure this is even an option where you live before you apply. Borrowers in Iowa, Maine, North Dakota and Pennsylvania, cannot take out a loan from Prosper. Avant is less clear about where its loans are or are not available but does allude to some restrictions on its website. Finally, as with any other type of loan or credit, make sure you can actually make your monthly payments before you take out a loan. Peer lenders like Prosper and Avant do have advantages over other types of lenders, but they aren't a magic bullet. If you don't – or can't – make your monthly payments on these loans, you can easily fall back into debt. What types of loans are each lender known for? Why? Both Prosper and Avant are known for unsecured personal loans, which are paid back in monthly installments over a period of three or five years with Prosper or two to five years with Avant. These loans can be used for various purposes, including but not limited to debt consolidation, automobile purchases, home improvements and energy efficient upgrades. As the name suggests, these loans are not secured by property, as a mortgage would be, and so they often carry higher interest rates because of that. 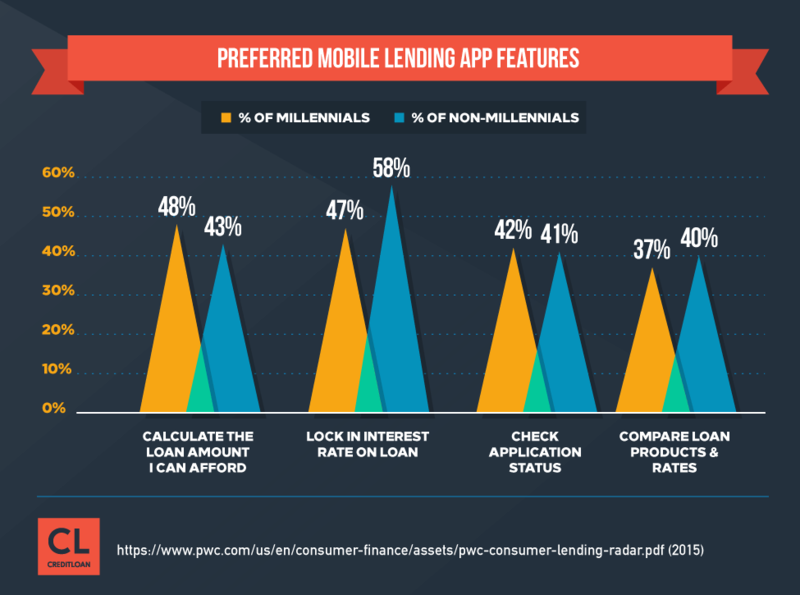 Does either lender offer incentive to choose them? What are the incentives? Prosper sometimes offers incentives to affiliates that might want to refer to Prosper for personal loans, but does not offer any special incentives to borrowers. Avant has a referral program in which you can earn a $50 Amazon gift card for every friend you refer to Avant. You can earn up to $550 in gift cards per year under this program. What do you need in order to qualify for a loan from each lender? Why? The process for applying for a loan with both Prosper and Avant is fairly similar. You begin by filling out some personal information, including name, address, date of birth, annual income and sometimes banking information. The lender may follow up afterward for additional documentation, if necessary. This is used to verify your identity and check your credit score. At this point, Prosper assigns you a Prosper Rating, which is based on your Experian credit score and Prosper's own internal scoring. This proprietary rating determines the interest rate you'll pay for a loan with Prosper. You then create a listing, or a request for a loan, on Prosper's marketplace, for its investors to view. You receive your loan once it's been funded. Prosper suggests you ask friends or family to invest in your loan and give you a recommendation, as well, to increase your chances of being fully funded. Avant's process works a little bit differently here. This lender does not require borrowers to create a listing for their loan and instead simply provides the funds requested once the borrower has been verified and approved. Is credit score a factor? Does it have as big an impact as other loans? What are the suggested credit scores to have before applying for a loan from each lender? Credit score is a factor whenever you apply for a loan, but part of the draw with online lenders like Prosper and Avant is that you don't necessarily have to have fantastic credit to receive a loan. Banks and credit unions are far more heavily regulated than these online marketplace lenders, so they often prefer to lend to borrowers with very good credit scores. Neither Prosper nor Avant suggests that you must have a certain credit score before applying for a loan, although Avant says its typical credit score falls between 600 and 700 and some reviews say that Prosper's minimum credit score is 640. However, your score will help determine the interest rate you pay. The better your credit score, the better the interest rate you qualify for. What interest rates are available for each lender? How do they compare to other loans, banks, etc? Does your credit score affect the interest rate? How much? Prosper offers interest rates ranging from 5.99% to 35.99%, while Avant's rates range from 9.95% to 35.99%. Generally speaking, the better your credit score, the better the APR you can receive. A super-prime borrower would qualify for a lower APR than a prime borrower, who in turn would qualify for a better APR than a near-prime borrower, and so on. Each of the major credit reporting bureaus has their own criteria for what they would consider to be prime, super-prime and subprime. Prosper also says that repeat borrowers can qualify for a discounted rate. Avant and Prosper are very similar in terms of both their business model and the ups and downs of borrowing from them. Peer lending sites like Prosper and Avant can offer attractive options for borrowing or consolidating debt, particularly for consumers who don't have excellent credit. Both lenders can often approve and deliver a loan faster than a bank can, and either lender is certainly a safer option than resorting to a payday lender. But consumers should be aware of the potential pitfalls associated with borrowing from any marketplace lender. Although these online lenders do have certain advantages over banks, credit cards and other types of credit, they can sometimes be unwilling to modify the terms of a loan if a borrower runs into trouble. Many borrowers have also complained about how their payments are collected, and the ease and speed with which you can receive a loan can sometimes mean it's easy to rack up debt all over again. One consumer told The New York Times that he had taken out so many marketplace loans, he fell back into debt and eventually declared bankruptcy. Are there any fees or costs associated with each loan process? Prosper charges a closing fee that varies according to the rating given to each loan. That closing fee can range from 0.50% to 4.95% of the loan, and it's rolled into the APR. Prosper also charges a $15 failed payment fee if an automated withdrawal fails or a check bounces, and it charges a late fee for payments that are late by 15 days or more. Prosper charges late fees of either $15 or 5% of the unpaid installment – whichever is greater. Avant charges an administration fee at the time the loan is issued, and it also charges fees in the event of a late payment or bounced check. However, Avant is less clear on its website about what those fees entail and says only that those fees vary according to a borrower's state of residence. Neither Prosper nor Avant charges prepayment fees, which can be an advantage over traditional financial institutions that sometimes do. How can payments be made for each lender? With both Prosper and Avant, you choose your repayment method during the loan application process. You can set up automatic withdrawals from your bank account, or you can pay by check. Both lenders also offer the option to pay by phone, although only Avant will accept a credit or debit card by phone. Avant also offers the option to pay with a remotely created check. Importantly, neither lender charges a fee if you pay off your loan ahead of schedule. Prosper makes loans between $2,000 and $35,000. Avant makes loans between $1,000 and $35,000. The maximum loan amounts can vary according to your state of residence, though, so it's worth reaching out before applying to ask if either lender has any restrictions particular to your state. How have customers reviewed each lender? Customers have reviewed both Prosper and Avant in generally favorable terms. Both lenders have an A+ rating with the Better Business Bureau. Avant has 62 reviews on ConsumerAffairs.com, and the majority of them are positive. Customers largely praised Avant for a simple, quick borrowing process and excellent customer service, and several reviewers praised Avant in particular because they did not think they would qualify for a loan. Many reviewers noted particularly high interest rates with Avant, although most of these left positive reviews in spite of it. Prosper has just two reviews on ConsumerAffairs.com, and both of those are negative, although the exact nature of one of those complaints is unclear. However, while both lenders are accredited with the Better Business Bureau and have A+ ratings, many of the reviews on the BBB's website are negative for both Prosper and Avant. Most commonly, customers complained of high interest rates, hard credit inquiries after loan denials, and difficulty verifying identity and income. Peer lenders Prosper and Avant can be attractive options for consumers who want to consolidate debt or take out a loan without dealing with a bank. They can provide funds faster than a bank or credit union can, they can offer a better interest rate than a credit card, and they are certainly safer than going to a payday lender. In terms of the application process, loan terms and interest rates, Prosper and Avant are both very similar. Going with one over the other may be purely a matter of individual preference. A savvy consumer will want to do their homework first, however. Before you borrow with an online lender, make sure you're aware of any restrictions particular to your state of residence. And read the fine print: You don't want to end up digging yourself an even deeper hole.